All Honda Tillers feature conveniently located controls for comfort, ease of use and safety. 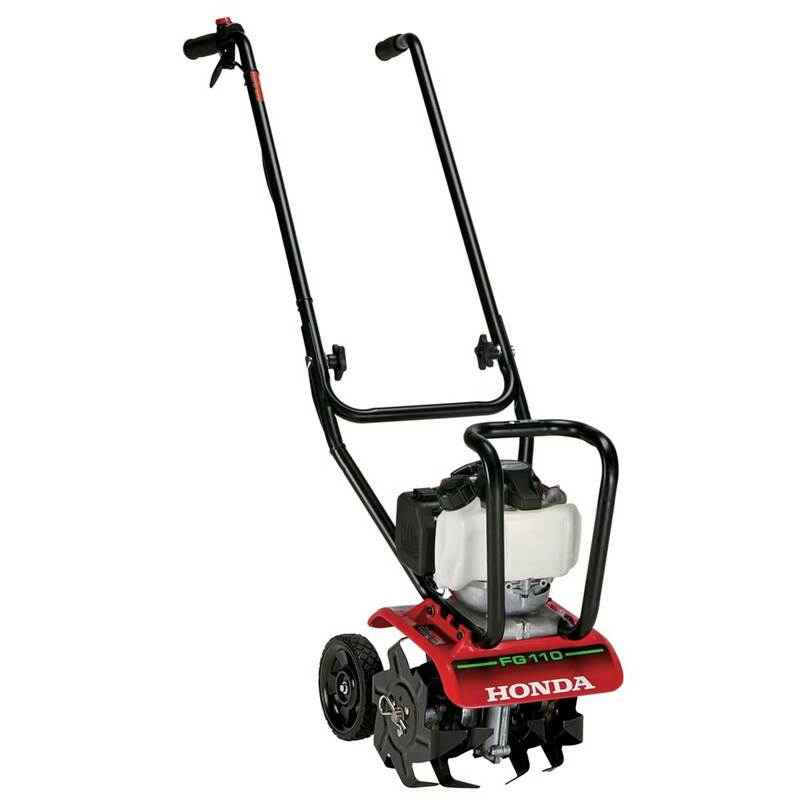 The Honda Harmony FG110AT Mini-Tiller is a lightweight, easy to use and efficient personal tiller. It features fingertip controls and integrated folding handles that make it easy to use and transport. Honda's mid-tine tillers are tough machines. 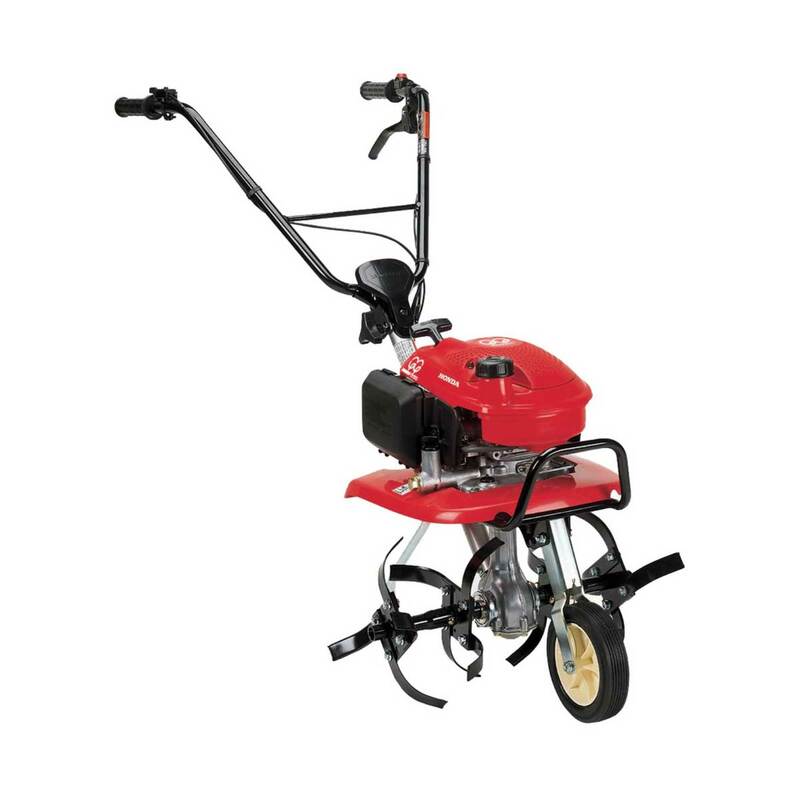 Their mid-tine configuration delivers the perfect balance of power and maneuverablity to perform almost any kind of tilling task. The highly advanced Honda engines are clean, quiet and virtually smoke-free. 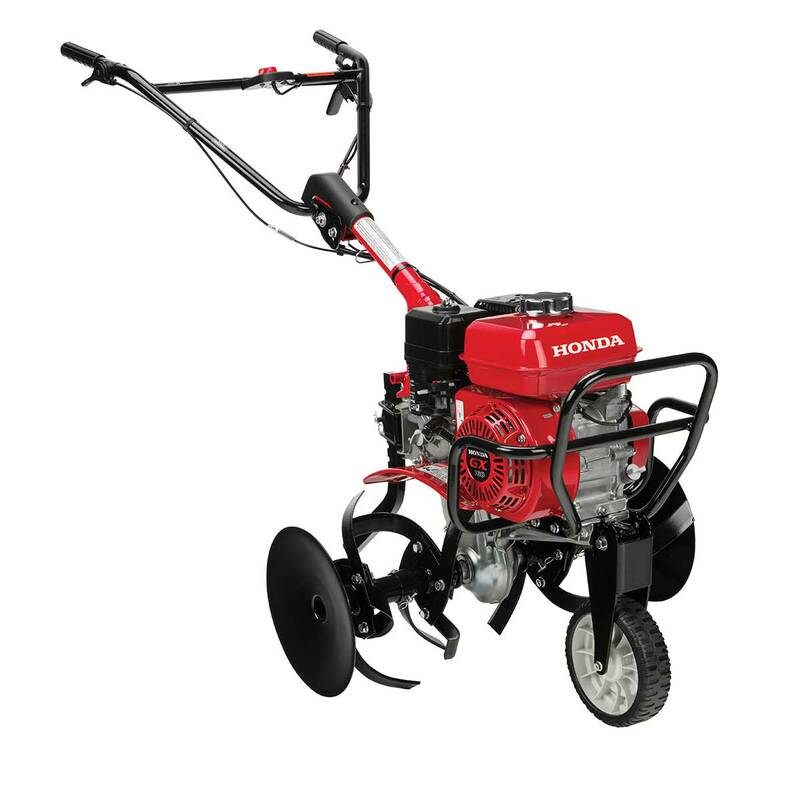 Honda’s all-star lineup of rear-tine tillers are powerful earth churning machines with the extra durability and strength that customers expect from a Honda Tiller. 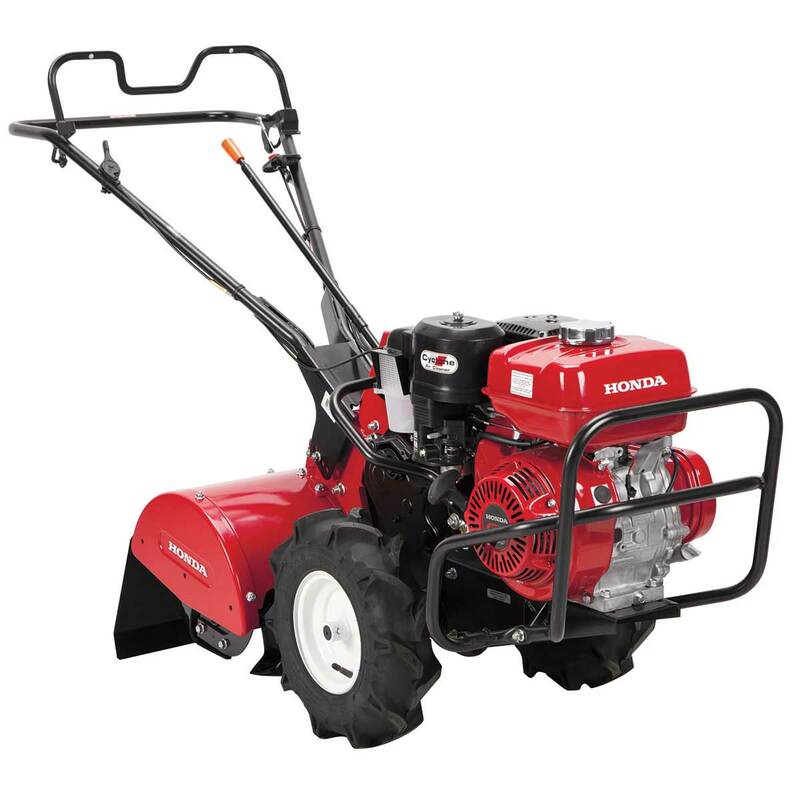 With Honda’s four stroke engines, advanced tine design and a low center of gravity they are exceptionally efficient.